Anthrax Case Closed? Another Well-timed Suicide? Bruce E. Ivins has died. If you have never heard of the man, don’t worry. I hadn’t heard of the 62-year old scientist until I awoke this morning. Not much of a hook to keep you reading, I know, but hear me out. He spent the last 18 years working at the government’s biodefense labs in Fort Detrick, Maryland. 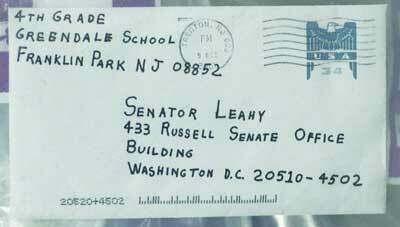 His brother said that the FBI was aggressively pursuing him in connection with the series of anthrax mailings after the September 11, 2001 terrorist attacks. According to reports, Irvins committed suicide of an apparent overdose of prescription Tylenol mixed with codeine. It appears he was told about his impending prosecution. My heart goes out to his family. You see, I’m not a conspiracy theorist. I don’t own a tin foil hat. But certain buzz words get my attention. Suicide is one of them, especially when there is someone that can be protected by the death. Maybe, I’ve watched too many movies or read too many mysteries. Ivins is not the first person the FBI went after for the 7-year old crime. If you recall, Dr. Steven Hatfill was placed under 24 hour surveillance back in 2002. He was never charged or arrested and was recently awarded $5.82 million in a lawsuit he filed in 2003. I always figured this crime was bigger than one person. So, this suicide really struck a chord with me. Would Ivins have been willing to go to jail and possibly face the death penalty to protect someone? Who knows? Maybe he didn’t act alone. Upon reading about Ivins, two other names popped into my head and against better judgment I sat down to scribe this. Deborah Jeane Palfrey, much better known as the DC Madam, also committed suicide. In 2006, she was at the center of a prostitution scandal in Washington DC. Her ‘black book’ contained somewhere between 10,000 and 15,000 names many of which were rumored to be high profile men. Senator David Vitter (R-LA) was the most influential name released and rumors existed as to how many other political figures appeared in her phone records and how high up the ‘food chain’ it went. There is speculation around her suicide as well as the possibility whether she was about to name names. Raymond Lemme ‘committed suicide’ in a Valdosta, Georgia motel room in July, 2003. Lemme worked in the Florida’s Inspector General’s office and was investigating allegations reported by Clint Curtis a former computer programmer for Yang Enterprises, Inc. (YEI). In short, Curtis attests that he was approached by Rep. Tom Feeney (R-FL) in October, 2000 to design a “vote-rigging software prototype.” Feeney had indicated to Curtis that the Democrats were possibly attempting to electronically rig the election and Feeney wanted to know how to identify if that was, in fact, the case. His work wasn’t actually to prevent the Democrats from rigging the election but to assist the Republicans in doing just that. Curtis also testified that Mrs. Yang had told him that the vote rigging was necessary for the 2000 election in South Florida – which is why I am familiar with this case. I am from South Florida and started researching voter and election fraud at the conclusion of the 2000 election. Curtis stated in a sworn affidavit (refer to point 12) that Lemme had told him that “he had tracked the corruption ‘all the way to the top’ and that the story would break in the next few weeks.” A few weeks later, Lemme would turn up dead. Clearly, these 3 stories are unrelated. As I stated, I am suspicious of ‘suicide’ when there is a bigger picture involved. I’m not saying that these 3 didn’t commit suicide. I’m suggesting that they do appear slightly suspicious. If Ivins and Palfrey were permitted to testify and Lemme permitted to complete his investigations, what information would have been released? A better question is who benefits by preventing this from hitting the papers? This entry was posted in News, Politics and tagged anthrax, Bruce Ivins, DC Madam, election fraud, voter fraud. Bookmark the permalink. You conspiracy theorist! Give Bush-Cheney-Rove-Mukasey the benefit of the doubt. They’ve been honest about everything else. Has the FBI called you yet about this matter? TraitorJoe – I love that avatar. Don’t forget Rummy, Ashcroft, Gonzalez and Brownie. I’m no conspiracy theorist either, but that affidavit that BradBlog published is scary. Interesting post … Vince Foster maybe should be in there, too. That’s very true. Foster’s suicide does fall into the suspicious category. I suspect his name would have been brought up again if Hillary was the nominee.